DOUGLAS, THOMAS, Baron DAER and SHORTCLEUCH, 5th Earl of SELKIRK, colonizer and author; b. 20 June 1771 on St Mary’s Isle (near Kirkcudbright), Scotland, son of Dunbar Hamilton Douglas and Helen Hamilton; m. 24 Nov. 1807 Jean Wedderburn in Inveresk, Scotland, and they had three children; d. 8 April 1820 in Pau, France. Thomas Douglas was the seventh son of the 4th Earl of Selkirk, and though two of his brothers had died in infancy he had no prospect of inheriting the title until his mid twenties. Then, between 1794 and 1797, all four of his remaining brothers died, two of yellow fever in the Caribbean and the others of tuberculosis. 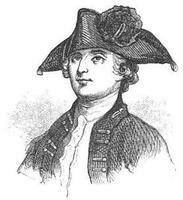 In 1799, on the death of his father, Thomas Douglas became earl at 28 years of age. 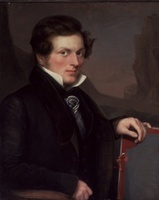 As a boy Douglas had been quiet and not strong, but he was apparently well liked at the University of Edinburgh which he entered at the age of 14. There he followed a general course in the humanities with some studies in law. He belonged to a lively group which included Walter Scott, who in later years remembered him as “one of the most generous and disinterested of men”; and there were many to testify to his charm of manner and winning smile though he remained reserved and laconic. His education was filled out in 1792 with some months of travel in the Highlands of Scotland, an experience which was to influence the course of his life decisively. This journey was followed by a period of travel in Europe until 1794. Two other matters seem to have been of particular importance in his growing-up years. The first was a raid on St Mary’s Isle by the American privateer John Paul Jones in 1778, when young Tommy was only seven. Though there was no bloodshed or brutality the boy found it a frightening experience, and in later years he believed it had left him with a dislike of Americans that he never wholly overcame. Secondly, though he inclined toward intellectual pursuits, in 1796 he took up the working of one of his father’s farms to learn what a landowner must know. Douglas never lost interest in the Highlands after his travels there, and he studied Highland affairs and learned some Gaelic. He had been shocked by the effect of the clearances with their callous, if inevitable, uprooting of helpless people who obviously were capable and deserving of a better life. Though he had not been in a position to help he had begun to develop a theory of emigration that might both restore hope to dispossessed people and strengthen Britain overseas. An opportunity to apply his theories arose even as he came into his title and fortune. In 1798 a rebellion in Ireland brought on by starvation and rack-rents had been put down harshly. The young earl spent some months in 1801 travelling there to study conditions at first hand. 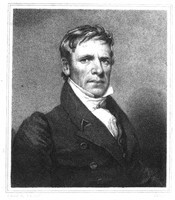 Everything he saw tended to confirm his views, and in the winter of 1801–2 he put forward to the Colonial Office a “radical cure” for Ireland’s troubles. He believed the same qualities that had made men leaders in rebellion could be of value in a different setting. To provide real opportunities and new challenges would change the whole thrust of an oppressed society. Selkirk advanced these arguments repeatedly and with enthusiasm to the Colonial Office, but they met with little favour. The Irish were regarded as intractable, and hopeless prospects as colonists; moreover the government was opposed to large-scale emigration. In this long and wearing correspondence all Selkirk’s qualities appeared: his capacity for imaginative planning, his energy, and a stubborn determination so intense as to become self-defeating. Finally recognizing that the government would not countenance the resettlement of Irish rebels, Selkirk proposed the emigration of Highlanders instead. By the summer of 1802 he was thinking of “the Falls of St. Mary” (Sault Ste Marie, Ont.) as a site and, since the government was hinting at cooperation if he selected a “maritime situation,” he offered to combine his efforts in Upper Canada with colonization on Prince Edward Island as well. As his plans for the Upper Canadian venture went forward it became clear that costs would be higher than he had anticipated. The government, influenced by the strength of anti-emigration sentiment in Britain, informed him in February 1803 that it was unwilling to grant him special assistance. He was therefore obliged to turn to Prince Edward Island, since he had already recruited a number of Highland emigrants and contracted for ships and supplies. By July 1803, when the expedition set out, it had been delayed too long for much clearing of land or planting in the first year. Selkirk’s ship, the Dykes, reached the Island on 9 August, two days after the Polly; the Oughton would arrive on the 27th [see James Williams]. 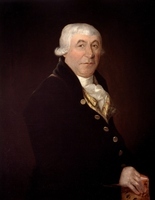 Despite the lateness of the season, hindrances from local government, and disputes over land claims and preferences among the settlers, the colony was from the first a success to match Selkirk’s dreams and support his arguments. By the time he left in late September 1803 his people were well on the way to being happily established, mainly on lots 57, 58, 60, and 62. Selkirk gave his next year to travel in the United States and the Canadas, tirelessly observing, questioning, and taking notes. 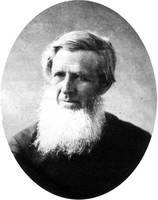 He informed himself about the terrain, crop expectations and prices, conditions of trade, and local government. Above all he was interested in the degree and speed of adaptation by immigrants, especially those from the Highlands. Though he found great variations in progress as a result of differing effort and ability, he concluded that all were better off than they would have been at home. He had prepared himself as well as was possible through study for his Prince Edward Island venture, but now he had the added benefit of on-the-spot reconnaissance and of discussion in depth. It all went down in a diary written in the evenings by candle-light or when bad weather prevented travel by day. He was determined to be an expert on the problem he had made his own. 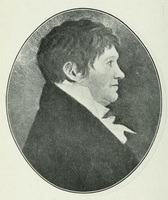 Having started his travels in Halifax, N.S., he went to Boston, Mass., then across New York State to Newark (Niagara-on-the-Lake), and on to York (Toronto), capital of Upper Canada. 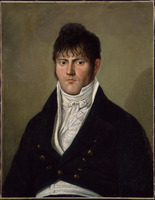 He stayed there from 20 Nov. 1803 to 4 Jan. 1804, becoming well known and well liked. 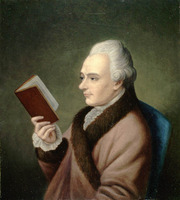 Part of his time was spent in studying maps of the western part of the province in search of a site for another colony. His efforts were encouraged by Lieutenant Governor Peter Hunter, who had received instructions from the Colonial Office telling him to grant Selkirk 1,200 acres plus land for his settlers in any township of the earl’s choice that had not already been claimed. Selkirk chose his site – to be called Baldoon after an ancestral estate – near the junction of Lake St Clair and the Detroit River. Then in January he left York by sleigh for Montreal. The trip down Lake Ontario and the St Lawrence tended to confirm his view that unless the border area was filled up rapidly by British immigrants it would inevitably be absorbed by the United States. In Upper Canada he had seen and heard much about the fur trade. In Montreal he learned more of its importance, its glamour, and its power. Here were the great houses of the Montreal agents and partners – led by William McGillivray* – who lived in considerable comfort and state as became the “Lords of the North.” They were nearly all fellow Scots, glad to welcome an eminent compatriot and to make his stay among them pleasant. Characteristically he was full of questions about the country and about the fur trade, which they were happy to answer at the time but later considered to have been an indication of sinister designs by Selkirk on their business. By late spring 1804 he was back in York, where he engaged Alexander McDonell* (Collachie), sheriff of the Home District, as manager of the Baldoon project. Travelling toward the site, the two men agreed on elaborate and ambitious building plans, and construction started on their arrival in early June. The first small group of settlers was already on the way. On 9 July Selkirk turned for home, stopping some weeks in Prince Edward Island where his settlement was already well rooted and prospering in little more than a year. In Scotland he prepared Observations on the present state of the Highlands of Scotland, with a view of the causes and probable consequences of emigration (London, 1805), advancing his theories in the face of opposition from the Royal Highland and Agricultural Society of Scotland and the Colonial Office and using the success in Prince Edward Island to support his claims. The fact that there had already been warnings of disaster at Baldoon was largely ignored. Located on swampy ground and suffering from mismanagement, that colony was becoming a tragic and costly failure [see William Burn], although despite sickness, death, and bad crops settlers would remain in the area. His rank and wealth had made Selkirk prominent; the book, clearly and persuasively written, made him a celebrity. Other books, both to challenge and to support his arguments, were rushed out. 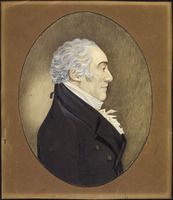 In February 1806 he was invited to go as British minister to Washington. Although he accepted, in the end the appointment was not made. In the spring of 1806 he applied for an immense grant of 300,000 acres in New Brunswick but attached conditions that could not be accepted. Turning his back on his North American interests he flung himself into domestic affairs with characteristic energy. On 4 Dec. 1806 he was elected to the House of Lords as one of 16 representative peers for Scotland. He became involved in the abolition of the slave trade, the problem of national defence, and parliamentary reform. On national defence he made himself something of an expert, and when in 1808 he published a proposal for national service his ideas were respectfully received. On parliamentary reform he was cautious and conservative, having been horrified by the excesses of the French revolution and disappointed in the working of democracy in the United States. His efforts as parliamentarian, colonizer, and author were bringing Selkirk some of the pleasant rewards of prominence and service. In 1807 he was made lord lieutenant of the Stewartry of Kirkcudbright; he was shortly to be elected a fellow of the Royal Society of London and to become a member of the prestigious Alfred Club in that city. And in 1807 came the greatest reward of all. The shy, rich, and distinguished bachelor of 36 was married to Jean Wedderburn, aged 21. His attractive, intelligent, and courageous wife was to be the source of most of his future happiness and an unfailing and invaluable support in the troubles that lay ahead. The marriage also brought him two strong future allies, Andrew Wedderburn, Jean’s brother, and John Halkett*, her cousin, who was later to marry Selkirk’s favourite sister, Katherine. 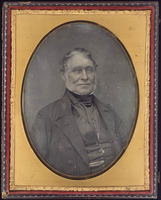 Though with his marriage and involvement in government Selkirk appeared to have put aside any interest in the emigration question, he probably never entirely lost sight of it. But the most obvious area, Upper Canada, seemed closed to him; the failure of Baldoon and the attitude of the ruling clique made it hopeless to try further in that province. There remained Red River, which he had proposed back in April 1802 for an Irish settlement. He had been told then that it could not be discussed as a site since it was in the territory of the Hudson’s Bay Company. 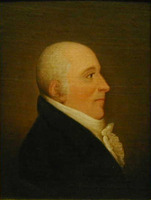 By 1808, however, the loss of free markets in Europe due to the Napoleonic Wars had seriously reduced the value of HBC shares, and this devaluation seems to have revived his hope of colonizing Red River, since it provided a favourable opportunity for him to secure an interest that would get him a hearing. In July he began to buy HBC stock on his own, and also jointly with Sir Alexander Mackenzie, whose objective – though Selkirk could not have known it at the time – was to gain influence for the rival North West Company. In the next year Wedderburn and Halkett also began to buy the stock at its attractive price, and at about this time Wedderburn became a member of the HBC’s governing committee. Thus Selkirk and his allies, although they never came close to a controlling interest in the company, gained a strong voice. The idea of the company’s developing an agricultural settlement at Red River as a refuge for retired fur traders and a source of food that had otherwise to be brought from England had already been discussed by the committee and had some support. It was against this background that Selkirk early in 1811 put forward his plan, which called for a large grant of land anchored to a substantial settlement. When news of the proposal reached the NWC the partners did not take the settlement idea very seriously but considered that if it should succeed it might destroy their trade, for the site was astride their route to Athabasca and they were already in financial difficulty through loss of markets and rising costs. (And indeed the HBC had recently considered a proposal by former NWC partner Colin Robertson* that it should initiate serious competition via Montreal for the rich Athabasca trade.) Too late the NWC attempted to block the grant. In June 1811 agreements were signed by Selkirk and the HBC under which, in return for founding an agricultural settlement and some other considerations, he was to have some 116,000 square miles – an area five times the size of Scotland and much of it magnificent land – for 10 shillings. Lady Selkirk would later call it, with playful bitterness, his Kingdom of Red River. The Red River colony, if not absolutely ill-conceived, as the Nor’Westers asserted, was born under an unlucky star. For ten years it was to be the focus of the mounting struggle between the two great fur-trading companies, a struggle that cost many lives, ruined the NWC, destroyed Selkirk’s great fortune, and contributed to his early death. 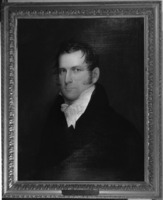 During his earlier tour of Upper Canada Selkirk had met Miles Macdonell*, brother-in-law of Alexander McDonell, and now the earl chose him to superintend operations in the Red River colony. 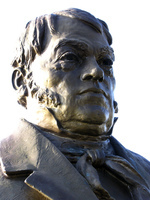 The HBC officially named him the first governor of Assiniboia in June 1811, and he arrived with the first colonists late in the summer of 1812. Both Selkirk and Macdonell had been warned that the Nor’Westers would not tolerate the settlement, but its initial crises came from natural causes: lack of adequate shelter and of a stable food supply. When Macdonell, to meet the food crisis, forbad the taking out of provisions from the grant, which had traditionally provided most of the pemmican for the fur brigades, the Nor’Westers regarded the measure as the declaration of war they had been expecting. 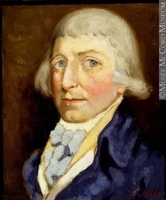 Though in 1814, the first year of the ban, a mutually creditable compromise was reached with John McDonald* of Garth, a leading winterer, senior NWC partners such as William McGillivray considered compromise beneath their dignity, and there were to be no more reasonable dealings at Red River. 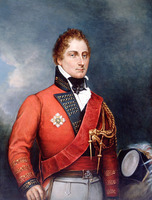 Selkirk had from the first planned to visit the colony once it was established, and he had even led Macdonell to believe that he would appear in 1813 at the head of a force of soldiers – to protect the settlement against the Americans, with whom Britain was at war. Although in the first three years there seemed to have been little to show for his enormous expense, by the autumn of 1814 the earl felt the worst was over. But in a letter written from Montreal at that time Colin Robertson, whose plan for competition in the Athabasca country had now been approved, advised him that the senior NWC partners were openly rousing natives against the settlement. Selkirk asked the Colonial Office to provide protection for the settlers and made arrangements to go out himself in September 1815. The government refused its support, and when he reached New York in late October he heard that the colony had been destroyed. The Nor’Westers had frightened or seduced 140 of the settlers from their loyalty to Selkirk and carried them down to Upper Canada. The remainder were driven away, their crops and houses destroyed. 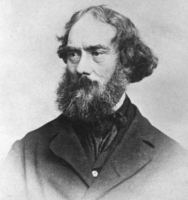 Macdonell, who had given himself up on a promise of amnesty for the settlement, was arrested on a dubious warrant and taken as a prisoner to Lower Canada. 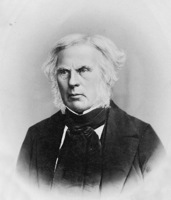 With his wife Selkirk went directly to Montreal to challenge the Nor’Westers on their own ground. Through the autumn and winter of 1815 he gathered information on the events and prepared to go to Red River himself, strongly supported and with the powers of a justice of the peace for the Indian Territory, in the spring of 1816. He also found time to complete a book entitled A sketch of the British fur trade in North America; with observations relative to the North-West Company of Montreal (London, 1816). The work was an indictment of Nor’Wester methods that was never answered. 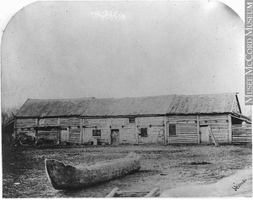 In the end it may have harmed Selkirk more than the NWC since it revealed little that had not been well known, and officially overlooked, for a long time; but it did suggest a more active concern with the fur trade than was consistent with Selkirk’s professed aims as a disinterested colonizer. In fact Selkirk, whom the Nor’Westers took to calling the Trading Lord, did have an official capacity in the trade, being authorized by the HBC to open negotiations for amalgamation with the NWC. The talks were to be confidential and conducted through a third party, but since each company argued from a fixed position unacceptable to the other, the negotiations served only to sharpen existing tensions; and they were soon common knowledge in Montreal, bearing an interpretation injurious to both Selkirk and the HBC. In March 1816 came astounding news. A messenger from Colin Robertson at Red River – Jean-Baptiste Lagimonière* – had come 1,800 miles on foot in the depth of winter to report that the colony had been restored. 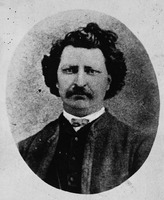 Robertson had met the fleeing settlers and led them back to Red River; and Robert Semple, the new governor, had arrived with another group of settlers. The colony was as strong as before and more determined than ever to survive. The news presumably sharpened North West resolve even as it raised Selkirk’s spirits. Both parties seem to have concluded that this summer would be decisive for the settlement. Because of Colonial Office direction and threats against Selkirk’s life the acting governor, Sir George Gordon Drummond*, provided him with a small force of regular soldiers, and Selkirk recruited an additional 90 men from the disbanded De Meuron’s Regiment. The departure of the NWC spring brigade from Montreal for Fort William (Thunder Bay, Ont.) was an annual event. In 1816 a larger party than usual left, and advance elements had gone ahead with clear instructions to finish off the settlement, preferably with a front of Indians, but by storming the fort if necessary. Close behind the main body of Nor’Westers came Selkirk’s flotilla of soldiers with 12 boatloads of supplies and arms for the colony. But they were already too late. 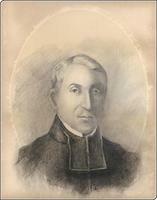 At Sault Ste Marie on 25 July Selkirk learned that the colony had been broken up by the Métis [see Cuthbert Grant*]. Governor Semple and about 20 colonists had been killed at Seven Oaks (Winnipeg) and the rest driven away, except for a few who were prisoners at Fort William. Selkirk, roused to passionate anger, led his force straight to Fort William, risking a pitched battle, and in mid August arrested nine of the NWC partners after a preliminary hearing. He then decided to occupy their fort for the winter, impounded their furs, and sent the partners off as prisoners to Montreal, including William McGillivray himself. A search of the fort under warrant disclosed the NWC’s complicity in the crimes at Red River. Until this point Selkirk’s steps had been at least correct in form; the law had formed the basis of all his arguments and of his instructions to Miles Macdonell. Reckless of opinion he now entered into a dubious transaction with the one remaining partner at the fort, Daniel McKenzie, a notorious drunkard. Under it he bought the company’s furs and all the supplies at the fort in return for a distant and non-liquid asset, one of his estates in Scotland. He was later to refer to his “ill judged conduct” at Fort William, and certainly it lost him sympathy and further impugned the purity of his motives as a colonizer. More serious, though more understandable, he twice refused obedience to warrants for his arrest which reached Fort William from Upper Canada in the late autumn. The one he believed to be spurious and the other no longer valid; he compounded the offence by locking up a constable who sought to use force. He undoubtedly was also influenced in his refusals by hearing that Owen Keveny, one of his agents, had been murdered after submitting to an NWC warrant. 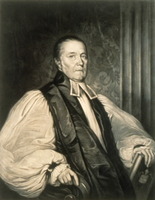 However justified his refusals may have been, they were to be given more weight in Quebec and in London than all the tragic acts in the mounting dispute. 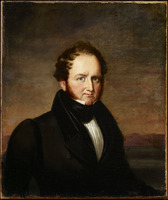 Meanwhile, the course of events had caused the new governor-in-chief at Quebec, Sir John Coape Sherbrooke*, to appoint commissioners of inquiry in October. Their task was to represent the crown in the Indian Territory and “to quiet the existing disturbances.” Selkirk had been asking for such a commission repeatedly but he was to find the Nor’Westers claiming the credit for it. In the spring of 1817 the NWC came west in force, including the partners released on bail. They found Fort William intact, and the supplies purchased from McKenzie left behind under caretakers, whom they promptly arrested and sent to Montreal under guard. Lord Selkirk had left for Red River on 1 May. Behind the Nor’Westers came the commissioners with a small detachment of troops, and behind them a further detachment of De Meuron’s along with more supplies for the colony. Mail which reached Selkirk on his way chilled his optimism. The tone of Sherbrooke’s letters and even more that of a proclamation in the name of the Prince Regent made him apprehensive. The latter called for a cessation of hostilities and a restitution of property. It assumed throughout that the struggle was purely a trade war in which the parties were equally guilty; it took no notice of Selkirk or the settlement as special factors. 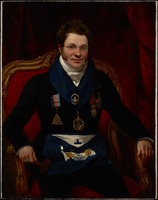 At first Selkirk believed that the senior commissioner, William Bacheler Coltman*, would prove wise and just, but Coltman’s conduct fulfilled the letter and followed the spirit of the Prince Regent’s proclamation. Moreover, he expressed the gravest doubts of the validity of the HBC charter though prominent lawyers re-examined and confirmed its soundness in 1811. If the charter was not valid neither was the grant to Selkirk, and the acts of Miles Macdonell as governor were of doubtful legality. To this assessment Coltman added doubts about the feasibility of the settlement, since like many he had accepted NWC propaganda about the unsuitability of the soil for crops. And if the settlement was not feasible its creation could only have been a tactical move in a fur-trade war. Though there was much satisfaction for Selkirk in the weeks at Red River, and though his settlers returned to fine crops and felt at last secure in his presence among them, the future was full of uncertainty. A purchase of land from the Indians had been arranged, but Selkirk could not give clear title to the settlers. Too much depended on Coltman’s report. 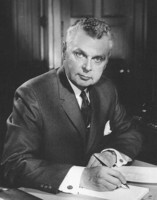 In his hope for justice from the commission Selkirk was frustrated and bitterly disappointed. He himself was charged for his actions at Fort William, but the obvious instigators of the killing at Seven Oaks, Archibald Norman McLeod and Alexander Greenfield Macdonell*, were allowed time to get out of reach before Coltman saw fit to charge them. When Selkirk announced his intention of returning to Montreal through the United States, for a variety of reasons including fear of assassination, Coltman angrily imposed £6,000 bail for his appearance in court in Lower Canada. The Nor’Westers spread the word that the Trading Lord had escaped justice and would not again be seen in the Canadas. Selkirk made an immense circuit through the United States; he arrived at York on 10 Jan. 1818 and then went on to the assizes at Sandwich (Windsor), Upper Canada, to answer the warrants he had originally resisted. In these proceedings and in all that followed he felt himself hopelessly entangled in a web of perjury, postponements, and manipulation of justice that was both maddeningly frustrating and deeply shocking. The trip to Sandwich saw no trials completed but he was bailed for £250 on the same offences for which Coltman had imposed bail of £6,000. During the winter and spring, preliminary hearings at Quebec on offences by the Nor’Westers found true bills in nearly all cases to do with the murders of settlers and destruction of Selkirk’s settlement. 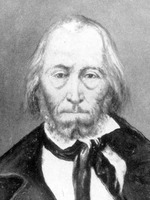 But a dozen prisoners and key witnesses escaped or jumped bail and slipped away to the Indian Territory, among them Cuthbert Grant*, leader of the Métis at Seven Oaks. Selkirk, whose health had been robust under the rigours of a year and a half of hard living and travel, now sickened under months of the law’s delays. In February 1818 it was decided that all the cases from Quebec would be moved to York for trial at the request of the NWC partners, on the plea that Lower Canadian juries would be hostile. In York, still a small village, there was some doubt that a competent jury could be empanelled. In August Selkirk went the 700 miles to Sandwich from Montreal for his own trials. 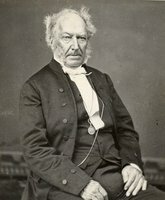 There, after a bitter wrangle, just as he and his lawyer, Samuel Gale*, believed he was about to be acquitted, Chief Justice William Dummer Powell* adjourned the court sine die. At that moment a local newspaper carried word that for the first time since 1806 he had not been elected as a representative Scottish peer; this news would certainly be interpreted in the Canadas as a loss of favour with the British government. He was sick of justice in the Canadas, and having seen by accident Colonial Secretary Lord Bathurst’s letter of 11 Feb. 1817 that had resulted in his official persecution, he determined to return to England to confront the Colonial Office. Leaving his clever and courageous wife to watch his interests from Montreal, he returned to London. Though now seriously ill he continued the fight from his sick-bed, informing and arousing his friends. The whole miserable controversy was set out in what was to be his last book, A letter to the Earl of Liverpool . . . ([London], 1819). 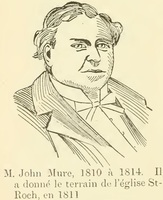 In addition he kept a watch over the affairs of his settlements at Prince Edward Island and Red River, adjudicating disputes and forwarding supplies, though his own finances were approaching ruin. His health at first improved but the stress was too great and at last produced a dangerous haemorrhage. By mid May 1819 it was reported that he was “far advanced in a deep consumption”; by August this news was known at Red River and beyond, to the grief and dismay of his supporters and the undisguised glee of the Nor’Westers. Nevertheless, his efforts were at last having some success. 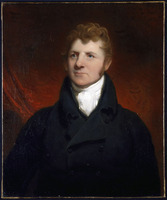 His brother-in-law, Sir James Montgomery, had won in February 1819 a motion in parliament asking for papers on the Red River controversy. When presented they contained Coltman’s report along with Colonial Office correspondence and amounted to a massive exposure of NWC methods. It was a vindication of sorts, but only a few friends and enemies were much interested, and Selkirk was no longer able to follow up effectively. In June his family returned from Montreal and plans were made for a journey to a warmer climate in search of health. By mid September preparations were complete, and what Selkirk referred to as their “caravan” wound its way toward the south of France. Early in October they reached Pau, found it charming, and settled in for the winter. Though it was not the right climate for a chest complaint Lord Selkirk’s health appeared to improve. There was a constant stream of news from England, and word of a probable amalgamation of the fur companies, both of which were now in serious financial trouble. There was a tempting NWC offer for Selkirk’s HBC stock, a sale that would have helped his desperate financial affairs. But he would countenance no arrangement that would not provide for the well-being of his settlers. Selkirk’s health was now steadily declining. He still wrote on Red River affairs, and spoke sadly of the colony as the place “where we had the prospect of doing so much good.” On 8 April 1820 he died, and he was buried in the Protestant cemetery at nearby Orthez. MTL, William Dummer Powell papers. PAC, MG 11, [CO 42] Q; MG 19, E4; RG 5. Docs. relating to NWC (Wallace). G. W. Lefevre, The life of a travelling physician, from his first introduction to practice; including twenty years’ wanderings through the greater part of Europe (3v., London, 1843), 1: 21–75. [Colin Robertson], Colin Robertson’s correspondence book, September 1817 to September 1822, ed. E. E. Rich with R. H. Fleming (London, 1939; repr. Nendeln, Liechtenstein, 1968). C. [B.] Martin, Lord Selkirk’s work in Canada (Oxford, 1916). J. P. Pritchett, The Red River valley, 1811–1849: a regional study (New Haven, Conn., 1942). J. M. Bumsted, “Settlement by chance: Lord Selkirk and Prince Edward Island,” CHR, 59 (1978): 170–88; “Lord Selkirk of Prince Edward Island,” Island Magazine, no.5 (fall–winter 1978): 3–8. 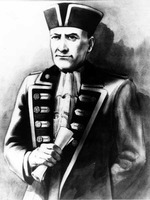 F. C. Hamil, “Lord Selkirk in Upper Canada,” OH, 37 (1945): 35–48. W. S. Wallace, “The literature relating to the Selkirk controversy,” CHR, 13 (1932): 45–50. John Morgan Gray, “DOUGLAS, THOMAS, Baron DAER and SHORTCLEUCH, 5th Earl of SELKIRK,” in Dictionary of Canadian Biography, vol. 5, University of Toronto/Université Laval, 2003–, accessed April 22, 2019, http://www.biographi.ca/en/bio/douglas_thomas_5E.html.